Soothing thermal waters, well-maintained sauna fun, upscale bath culture in the Roman-Irish bath, wellness from Orient and Occident. The Cassiopeia Therme is not only good for health but because of their beauty and stylish ambience even real balm for the soul. 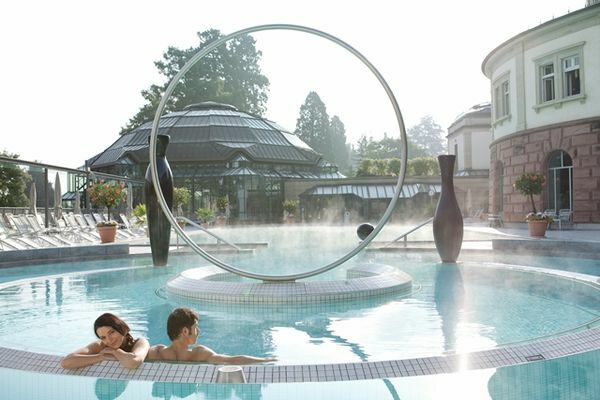 The length of stay is unlimited and so you can have plenty of time to enjoy the diverse offerings of awarded five Wellness Stars Therme. Special features: Day Spa's, ladies sauna every Wednesday and changing seasonal offers. We offer a daily changing Aqua fitness program. Relax. Recharge your batteries. Get pampered. Parking spaces and how to find us.